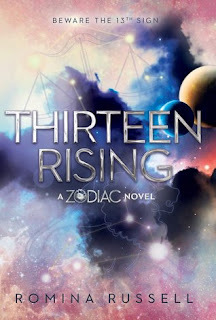 I'd been looking forward to reading Thirteen Rising since I found out that there would be a fourth book in the series. I'd found this out before Black Moon was published last year, and while I didn't love the idea of more waiting, I was on board with it after reading Black Moon. Black Moon was incredible and definitely my favorite of the series, but the ending was extremely cliffhanger-y. Thirteen Rising picks up fairly quickly after Black Moon ends, and the story takes off from there. I so wanted to love Thirteen Rising but sadly, I didn't. I didn't absolutely hate it either though. In this final novel, Rho must face her fears, brave her grief, and fight to save the Zodiac from the master, who has been unmasked. Her loved ones are dead, in trouble, or pushed away by her decisions, and Rho is desperate, too desperate, hold on to something to fight for. Will she rise and fight, or will she bow and fall? My liking of this book rose and fell like the sun rising and setting. In the very beginning, I was hooked and cheering for Rho. And then she pissed me off and I was frustrated. And then I felt like I could cheer her on again. And then she pissed me off some more. I had a love-hate relationship with the book, I suppose. I have to respect Rho for being consistent - she has been consistently impulsive and reckless in this series, and it gets her into all kinds of ridiculous trouble. Her mistakes cost her, but also cost her friends and family. She never learns, never listens, but she also finds her way, amid her mistakes. While I was frustrated with Rho, I could see her growing up in this book. And in the series in general. I adored Hysan and his incredible brain. He is easily the most intelligent and clever character of this series. He doesn't trust anyone and holds so many secrets, but it's hard to fault him for that. He has a good heart and he is entirely too selfless, especially when it comes to Rho. I honestly think he deserved better, someone who didn't play with his emotions back and forth like a seesaw. I wasn't pleased with the romance but I was happy to see that there was no love triangle in this book. The only ship is Hysan and Rho, and I liked them theoretically, but Rho kept not giving them a chance. I wanted their relationship to be so much healthier, but it wasn't. The story, for the most part, was interesting kept my attention. I couldn't wait to get to the end to see how things shook out. I admit, I was a little confused, as the climax drew closer and things started to pick up. But overall, the story was well-paced. The science-y aspect of the story is incredibly important in this book, with the central conflict of this book dealing with portals and Psy energy and taking down a powerful force. There is a lot going in this book! The ending is very positive and tidy! It ends well for almost everyone. I love HEAs and many characters got theirs. I actually could see the author continuing the series, though I believe four books is the extent of Rho's story. Thirteen Rising wrapped up the series very well, and it is definitely a satisfying conclusion to the quartet. I don't want to spoil anything, so I'm going to be vague, which might not be very helpful. Apologies in advance. I fully believe that if you've come this far (i.e. you've read Black Moon and those before), you should read Thirteen Rising. I had issues with the book, but that doesn't mean everyone will. I honestly couldn't stand Rho, for most of the book. Sometimes, I wanted to stand and applaud and cheer her on. Most of the time, I wanted to shake her and possible slap her. I'm not a violent person! But Rho had me feeling irritated. She is stuck in her grief and shuts everyone out. But what's worse is that she pushes Hysan away, and hurts Hysan in many ways - specifically Hysan. Everyone else, she is distant with. But with Hysan, she lashes out. Hysan deserves none of her cruelty. She lies to him, tricks him, deceives him, and she knows she is wrong to do so, but she convinces herself that she is doing this for everyone's good. (Spoiler alert: she isn't doing it for everyone's good, and she ends up making a huuuuge miscalculation every time she lies to him or does something that he warns her not to do.) Rho doesn't like being told what to do, especially by Hysan, and yet, every time she does something that he asks or advises her not to do, SHE MAKES SOME BIG MISTAKES. The idea is to show that Rho is a strong female, right? And yet, she is wrong. Every time. Rho emotionally manipulates Hysan, and it is wrong. She acts like she loves him, and then she tells herself that she doesn't. She tells him that she doesn't. She pushes him away. She tells him she no longer feels the same way. But she wants his help, she wants his leadership, she wants his brilliant mind. This is so wrong because (1) she is lying to him, and to herself, (2) she is using him, and (3) she keeps changing her mind about needing him or not needing him. It's so wrong. Rho loves him but doesn't want to, she loves him but convinces herself that he doesn't trust her, she convinces herself that some other girl is trying to steal him... Rho needs to grow up. And she does, by the end of the book. But you'd think, after three books, she would be better than this by now. I hated how Hysan forgave her and stuck with her. I really wanted to see Rho suffer for making him suffer. I never like unhealthy relationships and Rho poisons this one. Hysan is nothing but supportive and understanding, even when she lashes out and hurts him. He is always still be her side. But Rho is so bad for him. This relationship is so abusive and toxic and I hated what Rho made it. I hated how Hysan seemed like he was her pet, on a leash. Hysan is so much more than that, and I felt like he needed to break himself free and move on. I also hated how Rho never really feels accountable for any of the hurt she causes him. She feels an ounce of guilt here and there, but I wanted to see her suffer and hurt like she hurt him. Or, at the very least, apologize and grovel. Hysan barely got angry with her! This isn't healthy! She never apologizes! What, does she think she's too good for that? Look, guys. I'm all for female and empowerment and whatnot (which is very obviously what this author is going for - trying too hard, by the way). But part of being a strong and capable female is knowing when you've hurt someone (male or female), and owning up to it. Acknowledging and apologizing. Rho should have been groveling to that selfless boy who couldn't see past her, who was so patient with her. Honestly, if they were two people in real life, I would beg Hysan to get himself out of an abusive relationship. Emotional manipulation is just as abusive as physical abuse. So I didn't enjoy the romance. The idea of Hysan and Rho together was awesome and I shipped them so much in Black Moon, but I didn't really want to ship them in this book. I kind of really wanted to see Hysan get himself out of the relationship and maybe starting something new with someone else. He deserved so much better - he deserved someone who didn't constantly question his feelings or trust, who didn't treat him like s**t but still expect him to be waiting for her. Besides that, I felt a little disconnected from the story. Not engaged, maybe. I reread the ending of Black Moon to get myself back into the story, and I was so excited to start Thirteen Rising. Black Moon was my favorite book of the series - it was excellent. So I had high hopes for this conclusion novel. But somehow it felt underwhelming and not impressive. I wouldn't say I was bored, but perhaps just incredibly disengaged and not amused. I barely understood what was happening, in the final chapters. What were they trying to do? Ophiucus was relevant how? And then the very ending - I loved the ending, don't get me wrong. But what next? What comes after? It just seemed like the story ended with the final "battle" scene, but nothing was addressed in terms of the state of affairs. The Zodiac? The leaders? The titles? I have so many questions about the structure of the Houses and what happens next. This is why I made the statement about there being more books in this series (but maybe not Rho's story), because the ending doesn't seem all there. Or maybe a nice epilogue would answer some of my questions. 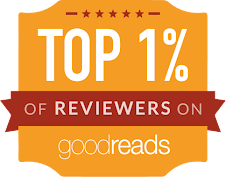 Like I said before, if you've come this far, and read all of the previous books, you have to read Thirteen Rising. If you haven't read any of the books in the series, or have only read Zodiac, I wouldn't bother with the series. There is a love triangle in the first two books, and this final book is disappointing. Black Moon was awesome but definitely not enough for me to recommend reading the entire series. Try Kaufman and Spooner's Starbound series if you're looking for space-related books. Or The Diabolic by S.J. 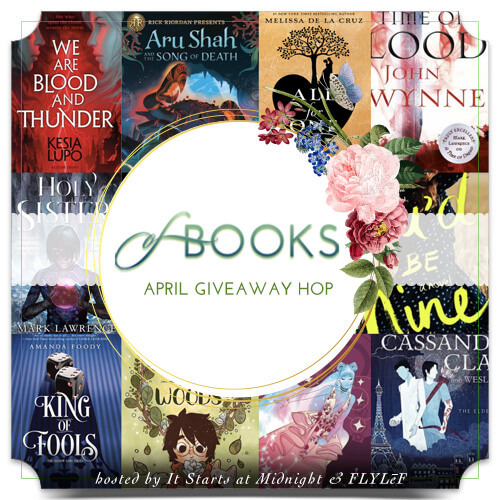 Kincaid, or Starflight by Melissa Landers, or the Avalon duology by Mindee Arnett. This series gets maybe a 2.5/3-star rating overall. 2 stars. I'm disappointed that I'm rating this book with a poor rating, but it definitely could have been worse. It's a fair ending to the series. I'm disappointed about the romance and Rho's behavior, but I'm sure other readers who are fans of the series might look past all of that and love the book. Overall, the series was only okay for me. I don't know if I'll read anything new by the author in the future, but I'm glad I stuck it out with this series and gave it a a fair shot. 3 star ratings are tricky. It seems a little low but most of the time it's actually not that bad. Okay, so I haven't actually started this series yet so I only skimmed this review. It's a bummer it was just kind of meh. I'm a big fan of romance in my books so it makes me a little nervous that the romance didn't seem to hold up in this one. Still, I bought the first book already and the covers are gorgeous so I'll read this series soon! I haven't read any of the others in this series, but it does sound really interesting. I'm sorry you didn't end up enjoying this one a little more. Rho doesn't sound like someone I would like either. I can't stand manipulative people and unhealthy relationships in books. 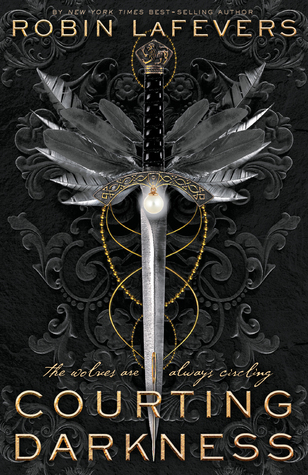 The cover for this one is really pretty tho! lol Great review! I love the idea of this Zodiac series, and those covers- they look fun, but sorry to hear the conclusion was a bit disappointing. Bummer about the romance, and yeah sounds like this could have used an epilogue or something to give some closure. Nice review!